We use a variety of security methods to help prevent unauthorized access and manipulation of your website. Please use strong passwords and do not share that information with anyone. We can easily create an additional user account(s) if you want to have delegate access to someone managing your website content. If you don’t remember your password, CLICK the “Lost Your Password?” link that appears on the login page below the fields where you enter your username/password. Recovery instructions will be sent to the email address used for your WordPress user account. If you can’t find the email in your inbox, please check your junk folder just in case it is misfiled. 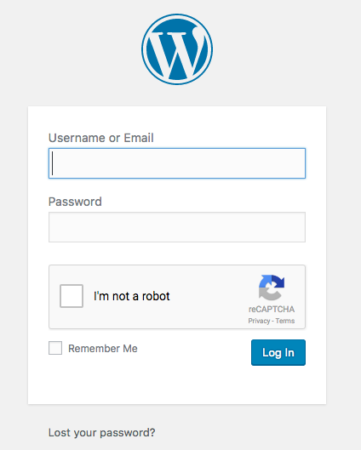 Go to your WordPress login page URL. Put a check mark next to “I’m not a robot”. Click the “Log in” button only once. 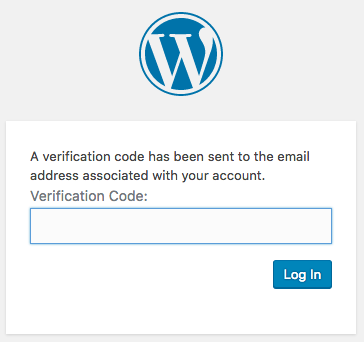 The message is sent to the email address you use for your WordPress user account. Be sure to check your email junk folder in case the message is misfiled. Copy the number you received in the email and paste it into the web page where it asks you for the Verification Code. Click the “Log in” button once. The next screen you see should be your WordPress Dashboard.